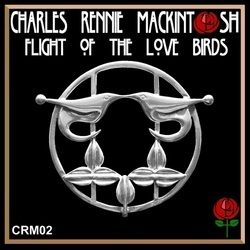 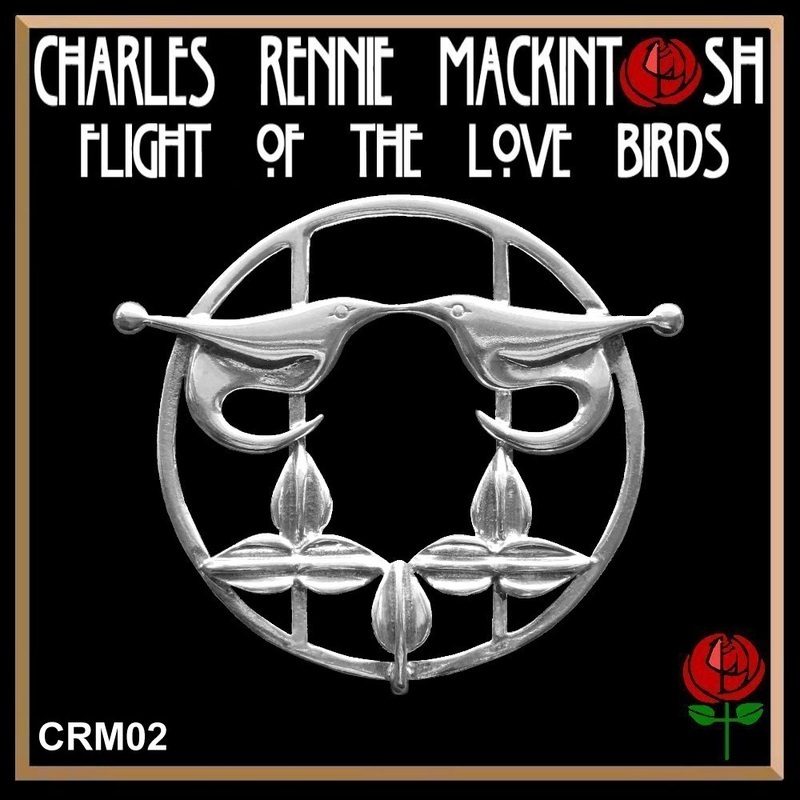 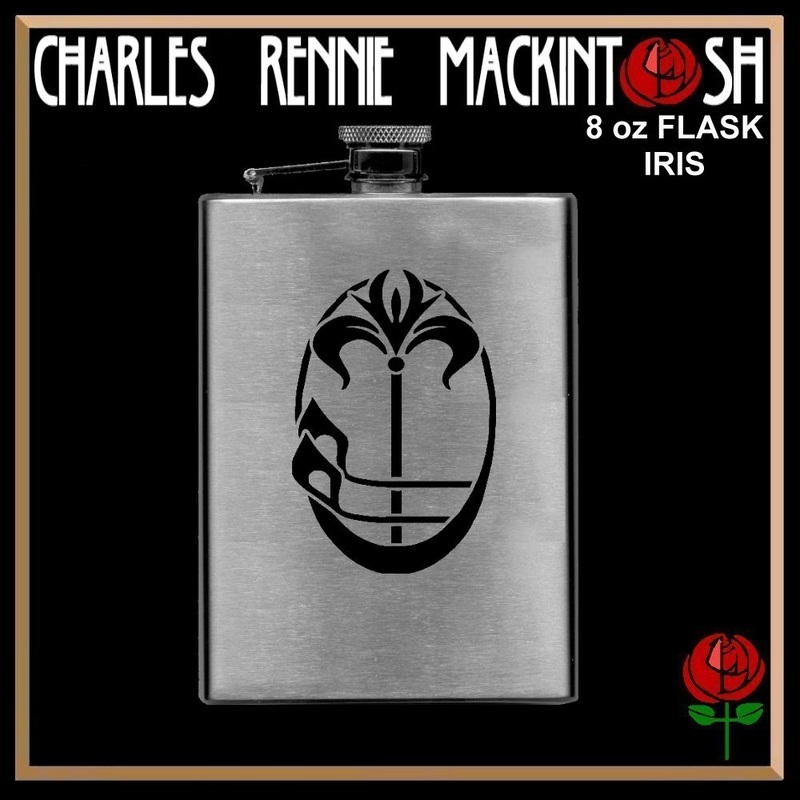 click to see the History of "RENNIE MACKINTOSH"
The Full Rose is one of the Winged Heart creations based on designs by the worldwide famous Glaswegian architect Charles Rennie Mackintosh 1868-1928 and his wife Margaret McDonald who as an artist had a great input to the Mackintosh style. 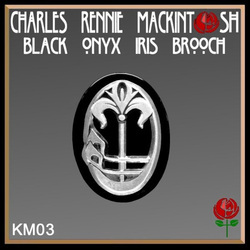 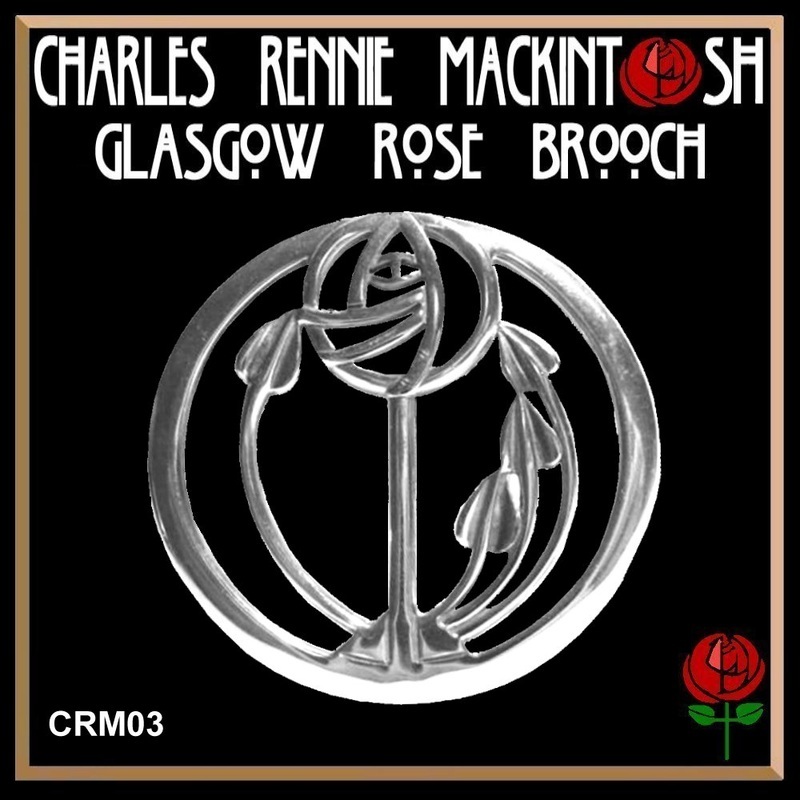 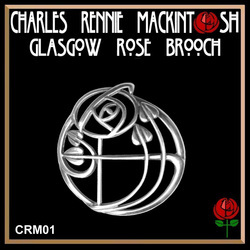 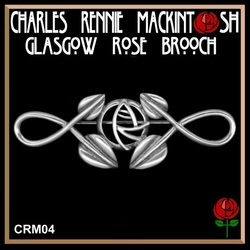 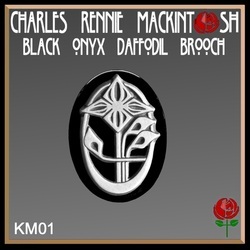 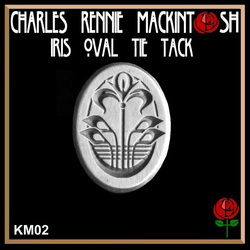 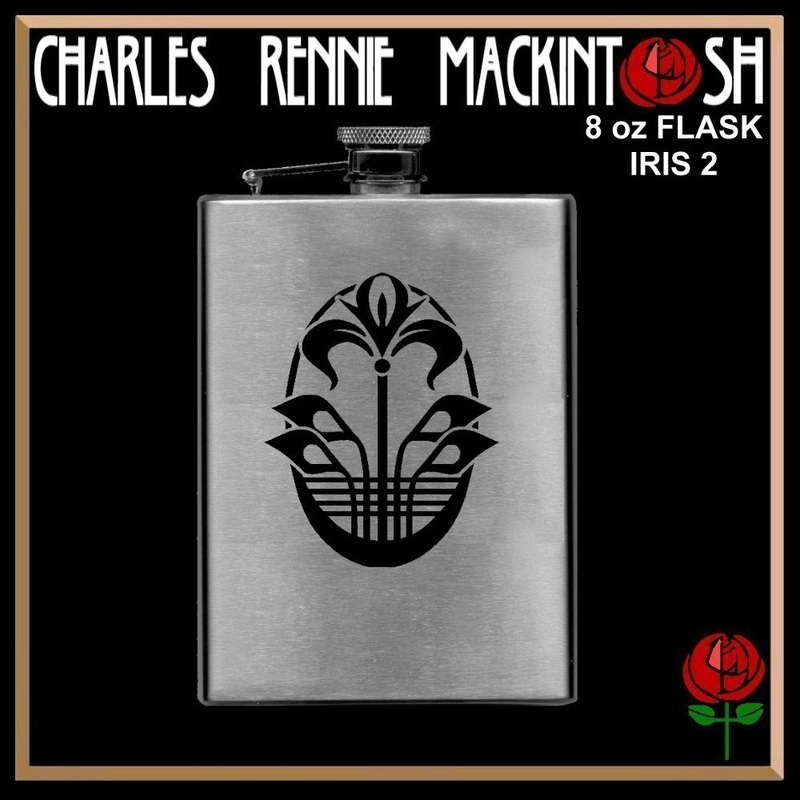 The Rose and the Tulip were much used by Charles Rennie Mackintosh and Margaret McDonald in their works and as such became associated with the Mackintosh style. 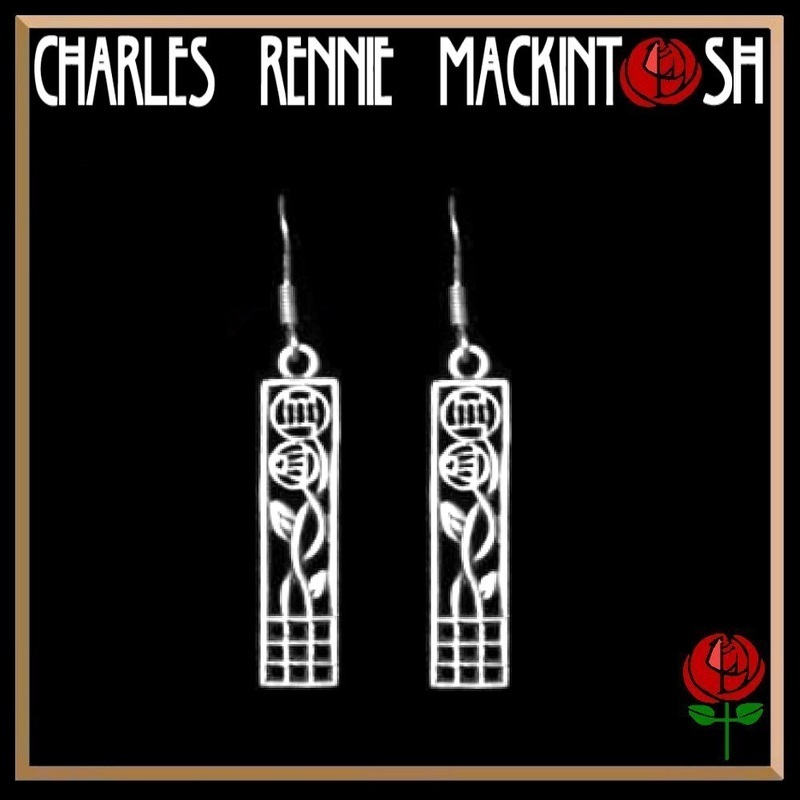 Art Nouveau, popularized in the late 19th century was characterized by organic, flowing lines and forms resembling the stems and blossoms of plants, as well as geometric forms such as squares and rectangles. 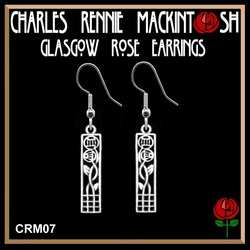 These beautiful Charles Rennie MacKintosh drop earrings feature the 'Glasgow Rose', in the design of Art Nouveau. 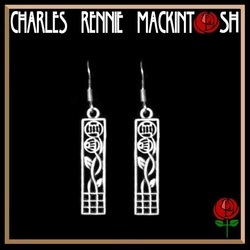 These intricate sterling silver earrings are cast as a mirror image, making them an exquisite pair. 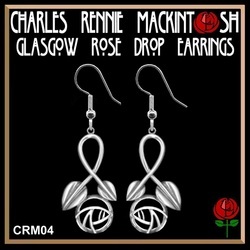 These measure 2" (51mm) from the top of the hook by 1/4" (7mm) in width, a perfect size for any outfit. 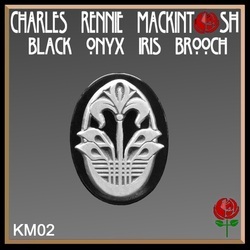 This stunning Rennie Mackintosh style brooch combines a lovely sterling silver iris with a beautiful genuine flat black onyx oval. This striking two tone piece definitely has that WOW factor! 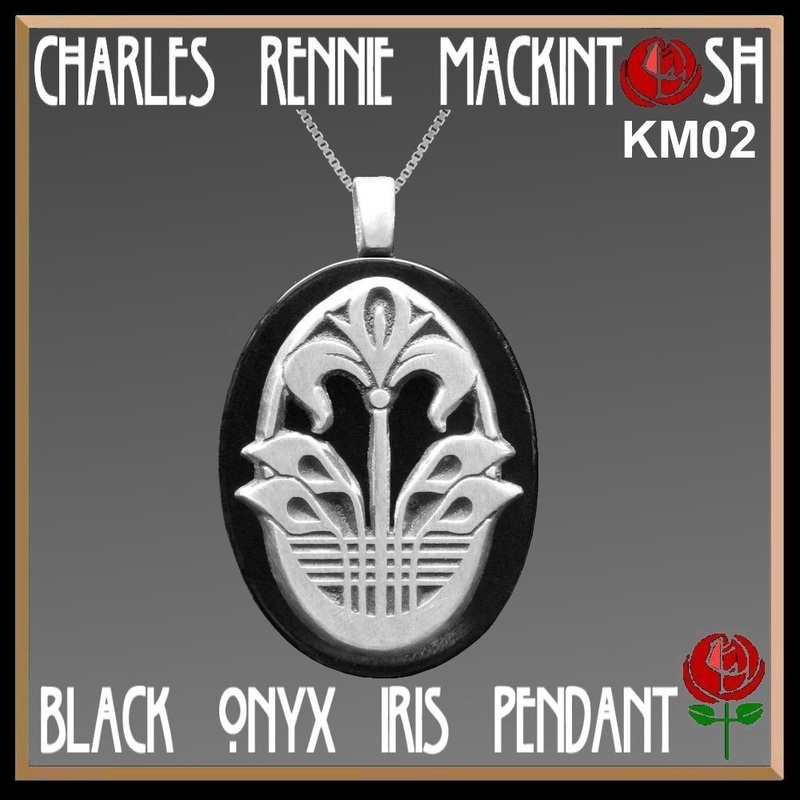 This exquisite Kate Morgan design is made from sterling silver on a 1-3/16" by 7/8" (30mm x 23mm) flat black onyx oval, a good sized piece that would complement any outfit. 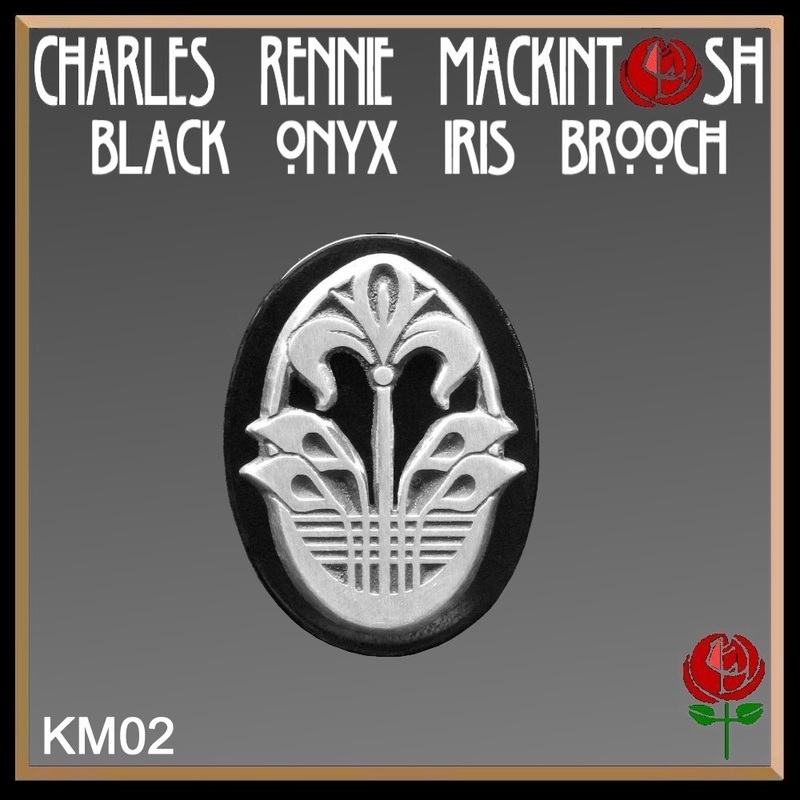 This brooch is available with two other floral crests and we also make a matching pendant. 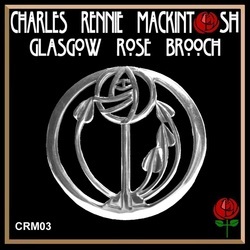 Check out our other listings. 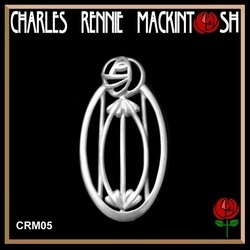 This is a timeless piece of jewelry that will become your family heirloom. 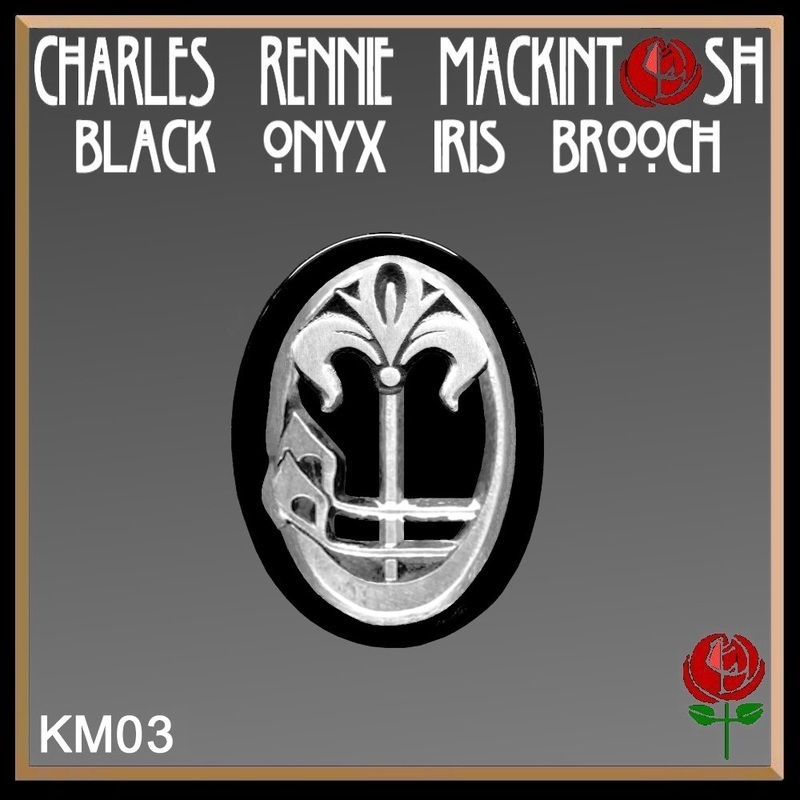 This stunning Charles Rennie MacKintosh brooch is in the design of Art Nouveau, french for 'New Art'. 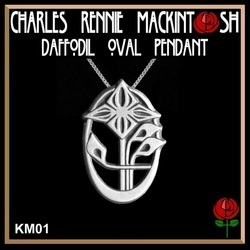 It is a crisp, simple but eye catching piece that would complement any outfit. 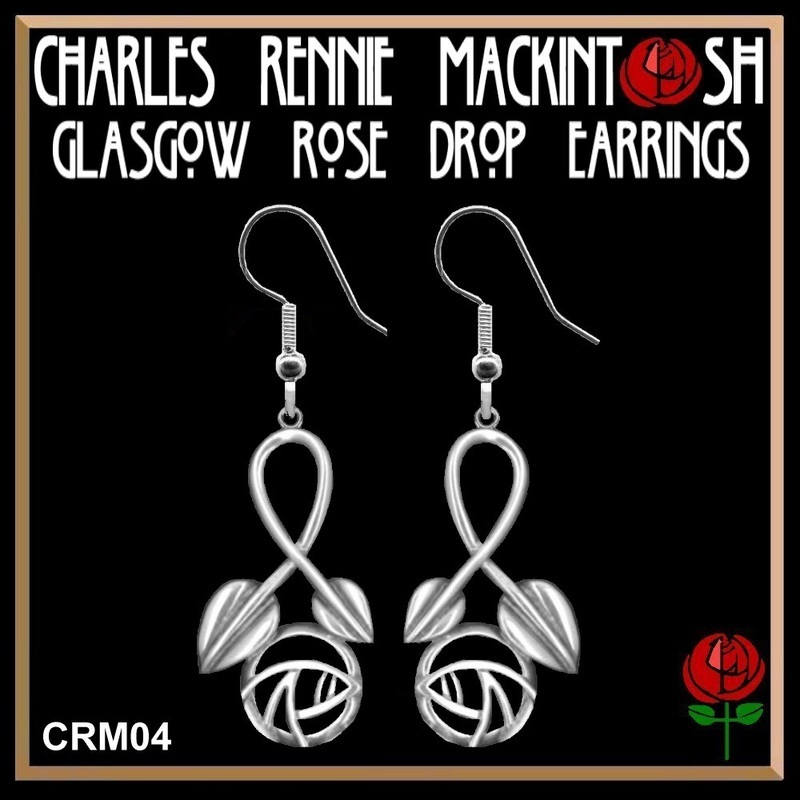 Exquisitely made from sterling silver, this beauty measures 1-3/4" by 1-1/2" (45mm x 39mm) with a with a high quality two part safety pin back. 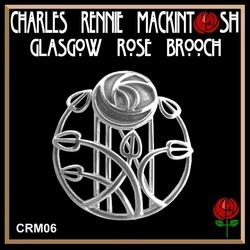 This magnificent brooch is a timeless design that is sure to draw both admiration and comments. 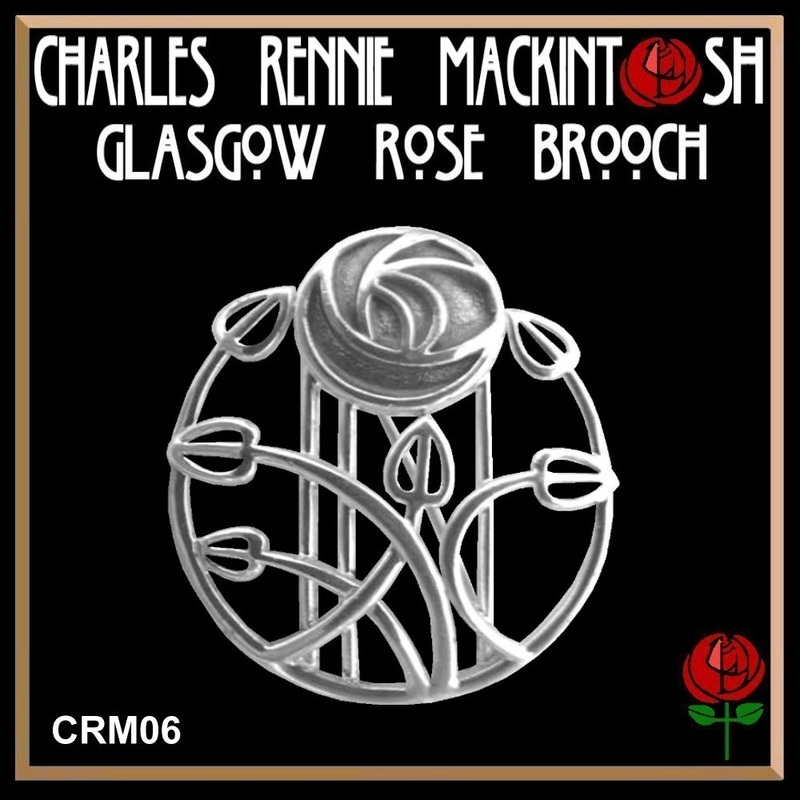 This stunning Charles Rennie MacKintosh brooch features the 'Glasgow Rose', in the design of Art Nouveau. 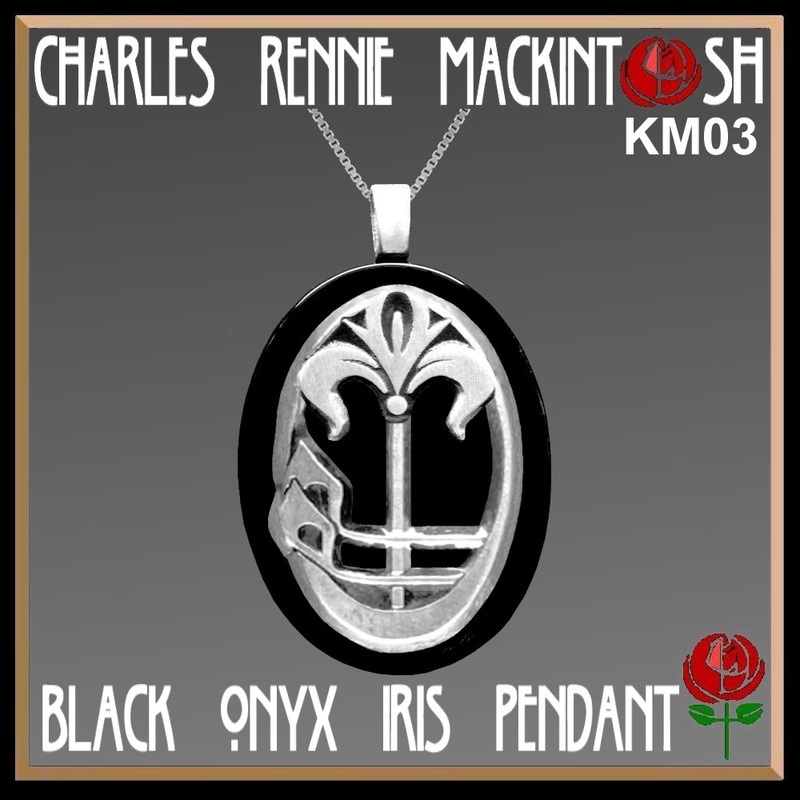 Exquisitely made from sterling silver, this beauty measures 1-1/4" by 1-3/8" (33mm x 35mm) with a with a high quality two part safety pin back. 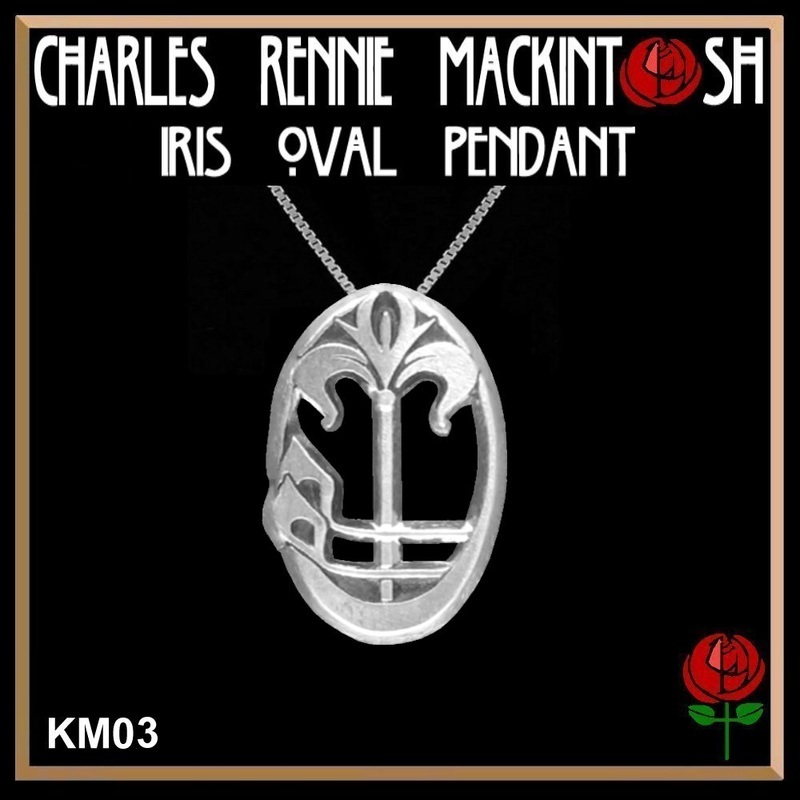 Wear it alone or with the matching pendant to display your love for all things Art Nouveau. 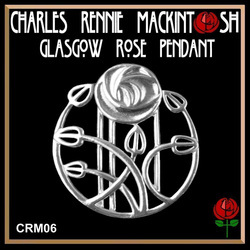 This stunning Charles Rennie MacKintosh pendant features the 'Glasgow Rose', in the design of Art Nouveau. This pendant is exquisitely made from sterling silver and measures 1-3/8" by 1-3/16" (35mm x 30mm). 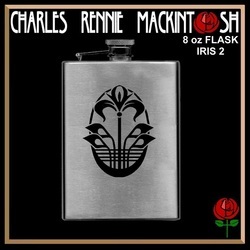 It is solid and heavy in weight. 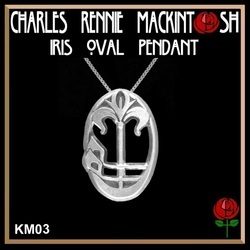 A beautiful piece that will become your family heirloom. 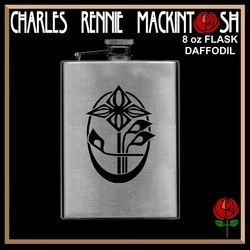 The daffodil is the national flower of Wales and it is also the flower for the month of March. 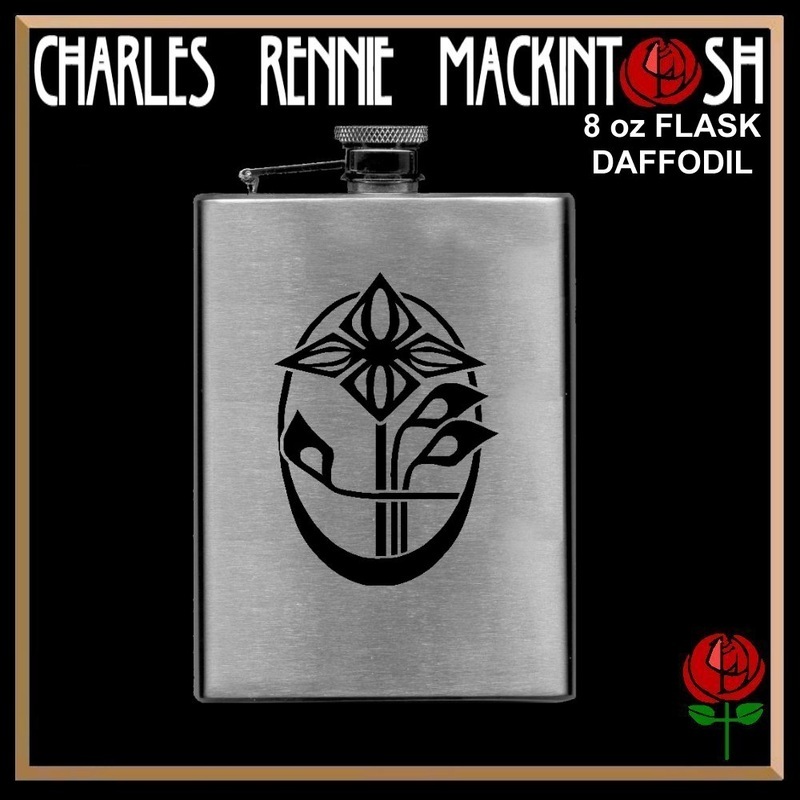 In the Victorian era, daffodils meant, “You are an angel.” In the modern language of flowers, daffodils are a symbol of domestic happiness and friendship. 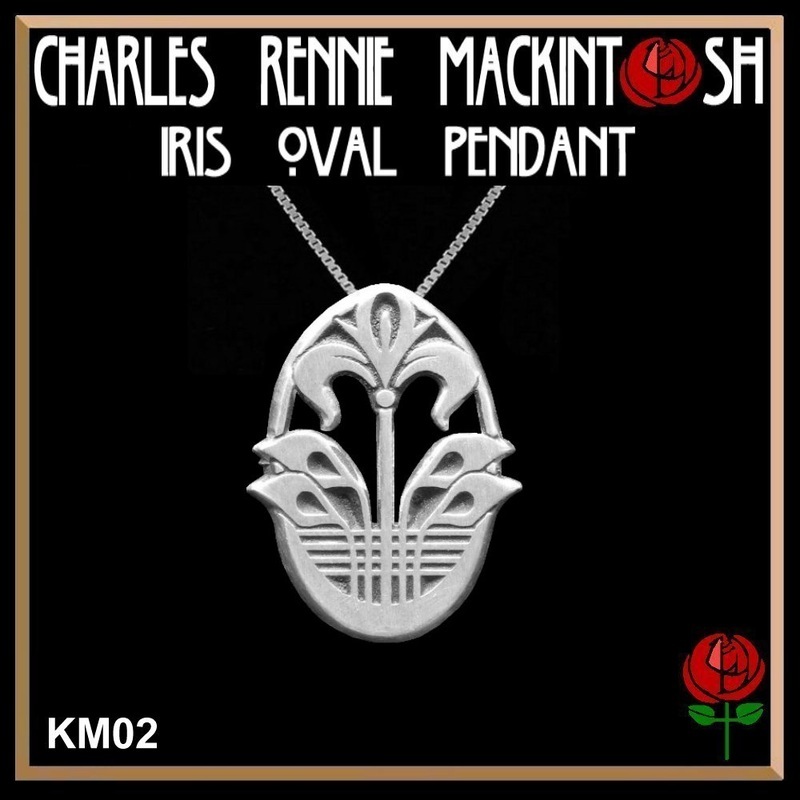 This stunning Kate Morgan design depicts the daffodil in all it's glory, in this lovely Art Nouveau pendant. 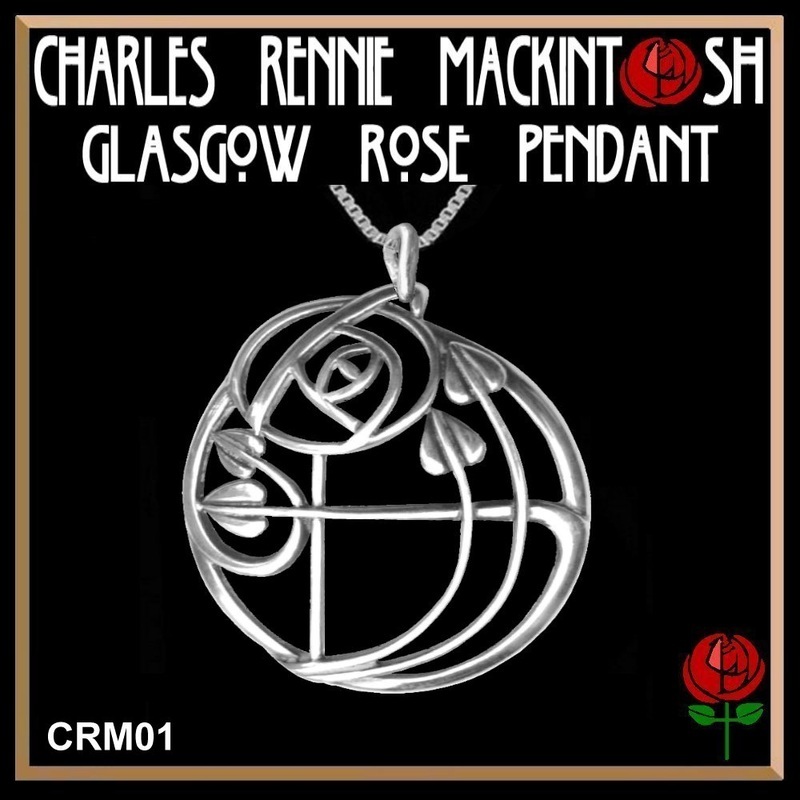 Exquisitely made in sterling silver, it measures 1" by 5/8" (26mm x 16mm) with a hidden bale and comes complete with an 18" Italian box link chain. 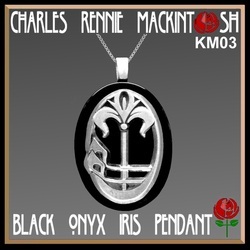 This pendant is also available on black onyx. Check out our other listings. 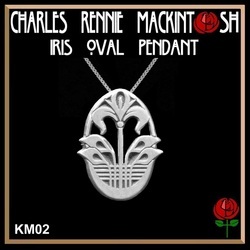 This lovely Art Nouveau daffodil pendant would make a great gift for yourself or someone special. 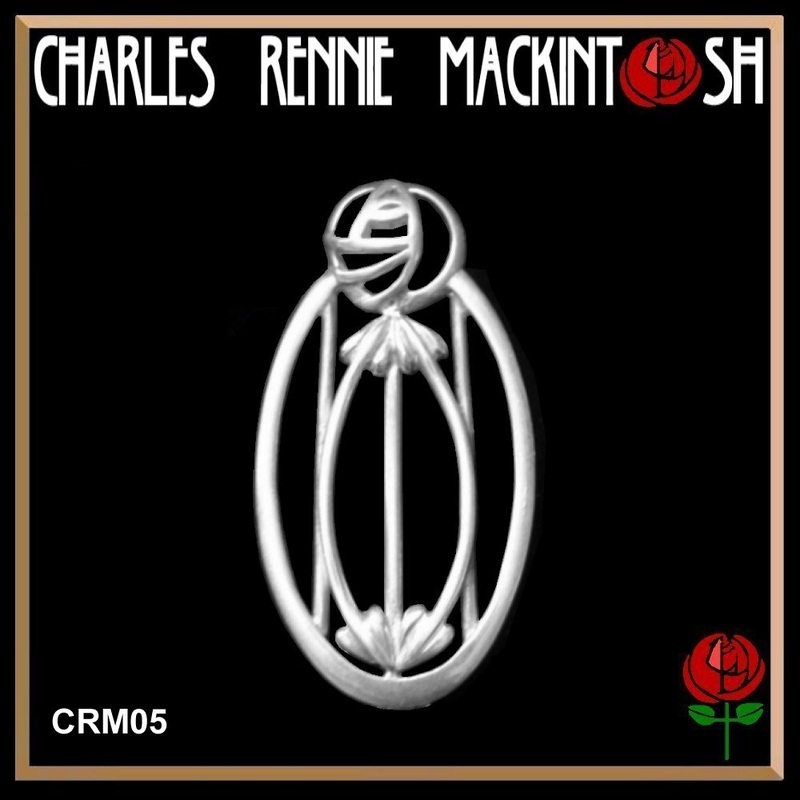 This stunning Rennie Mackintosh style tie tack combines the beauty of the Art Nouveau period with the crisp, clean lines of the modern today. 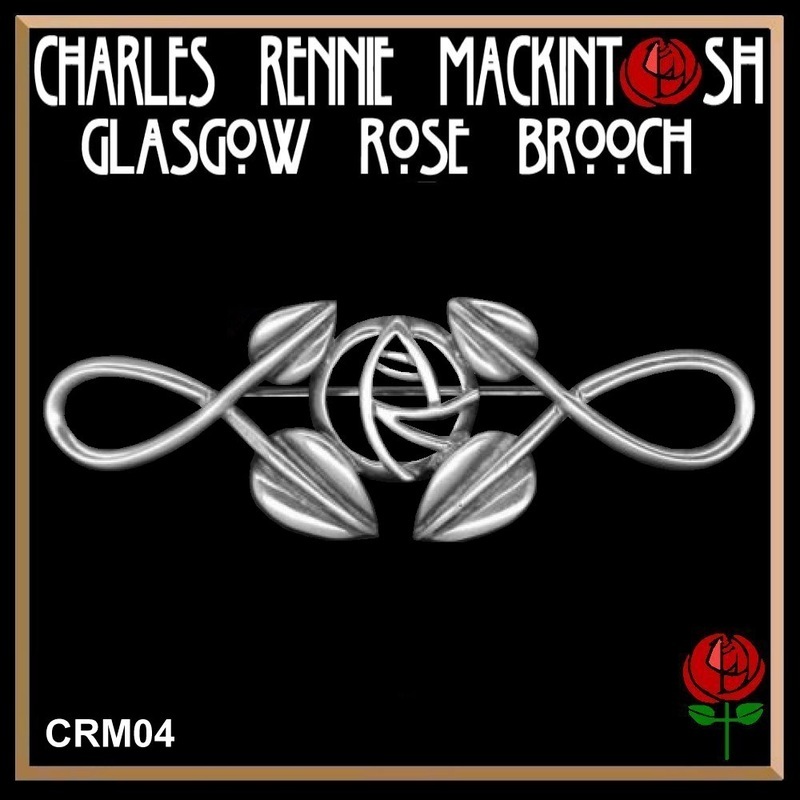 This piece is very versatile and can be used as a tie tack or on the lapel of a jacket. This exquisite Kate Morgan design is made from sterling silver and measures 13/16" by 9/16" (21mm x14 mm) with a base metal clutch back. 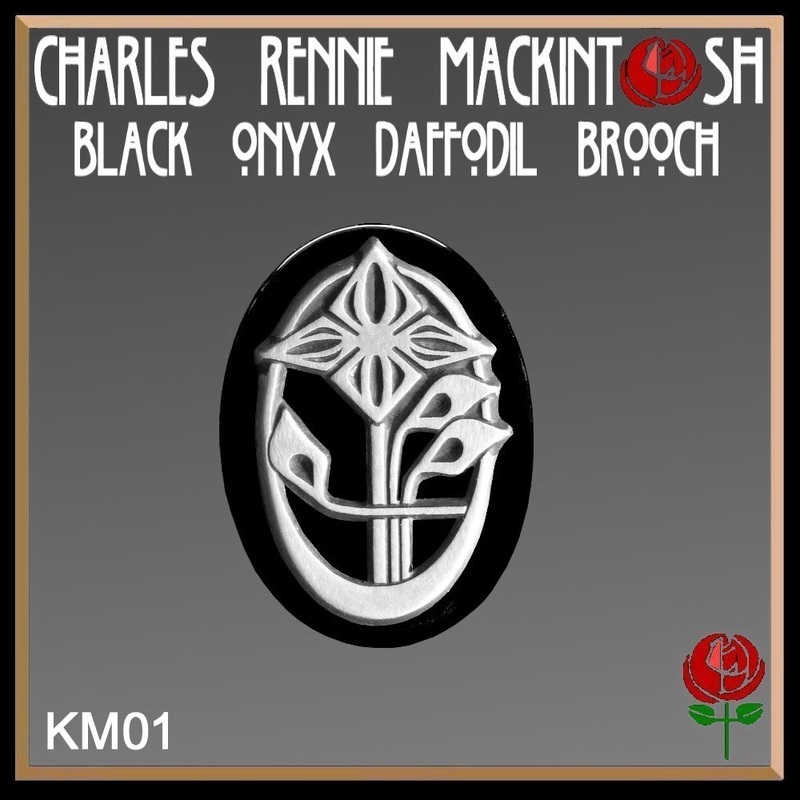 This pin is also available with the daffodil design.